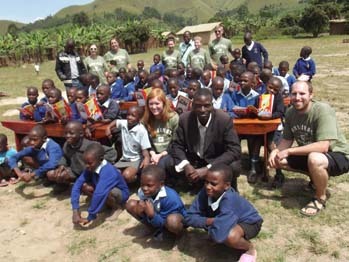 fundraising outside of Uganda, by giving extra credibility to all our projects. We have decided that the time has come to start up our own UK charity for Uganda Lodge Community Projects, rather than working under the umbrella of “Let Them Help Themselves Out Of Poverty”. 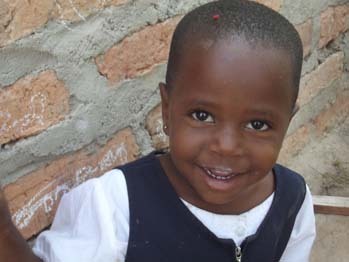 IDA and LTHT will still support us, but school sponsorship and volunteers fundraising for Ruhanga will be handled through this new charity.To this end, I would like to invite all volunteers, sponsors, and other interested parties to an Open Meeting to be held on Sunday 22nd July at 1pm. It will be at my home in Shepperton (NW Surrey) and we will hopefully approve a constitution and mission statement that has been drawn up by one of our volunteers. Please email me directly if you have any interest in joining us, or if, potentially you would like to be involved in this new charity but are not free on the 22nd. I really do need as much support as possible, as we are now helping so many families in the Ruhanga area of SW Uganda, and the number is growing each month. 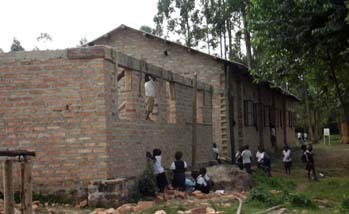 We now have over 400 children in our school but one hundred are without sponsors. The money we do get in is shared between all the children so they are treated equally but at the moment this is being heavily subsidised by profits from the Lodge and Denis’s safaris – thus the opportunity for new building is suffering. So can you, or any of your friends, help us? For less than nine pence a day (just £3.50 per month paid by a standing order), you will be giving an education to a child who would otherwise have little hope of attending a Primary School. After reading in the local paper about our sponsored walk in Virginia Water that raised several hundred pounds for our school, Mr Fram Engineer, MD of ‘CourierIT’ offered to help our cause, by shipping a number of boxes full of donations to Uganda for free. 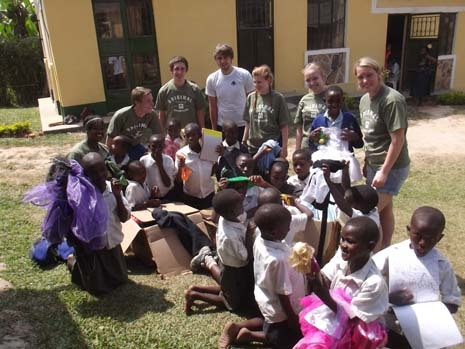 They are mostly school uniforms, sports equipment, books and toys for the children at the Ruhanga School. They children were very happy when they arrived and quickly helped to unpack them. CourierIT has now adopted us as their company charity and promised to send out more things every couple of months. Kayla and Josh who came all the way from USA were concerned with how many children squeezed on one desk so they employed a local carpenter to make 6 more new ones for the school. Other friends and volunteers too numerous to mention here, have also donated many things for our children and as a small gesture of thanks we are making some boards to put up in the classrooms so we can add their names. 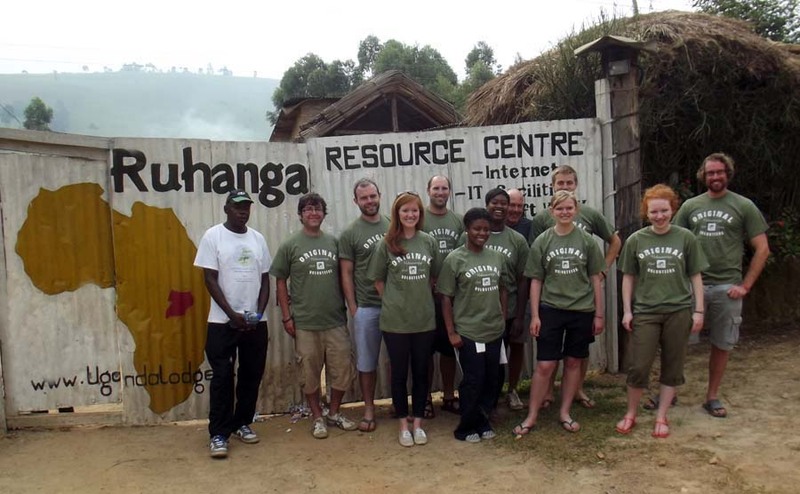 In Uganda – volunteers of all ages wanted, especially outside of the months of July and August. Its not all work as most returning guests will tell you – they also have a great time on a safari or gorilla trekking and visiting nearby lakes or village homes. As well as in the school help in the nearby hospital and on village farms is also appreciated. 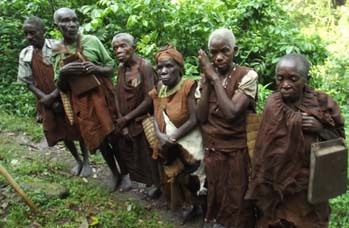 Thanks to two teachers who gave us the idea we are now offering safaris to visit Batwa Pygmies in their traditional forest habitat. Very difficult terrain but I managed it and found it very interesting. This is a different experience from viewing elephants and lions or visiting one of the refugee settlements. Facebook Lets keep it updated! If you have been to the Lodge and have some favourite photos, be sure to tag us at ‘Uganda Lodge’, ‘Ruhanga Development School’ and ‘Friday Denis’. It will also help encourage new volunteers if you will add comments on the OV Facebook pages. The more visitors we receive, the more we can do for the community. If you have any stories to tell, or advice to give we would love to hear from you! Our most regular volunteer – Ian – has just offered to keep our facebook pages updated. We have just heard that thanks to ASE Consulting, we are very likely to receive funding to build a village clinic/medical centre/training facility, on land across the road from our school. There are a few more details to iron out, but it’s looking likely that we can start building within a couple of months. In the short term, this will provide much work for local builders and other contractors, and in the long term, improve the health and wellbeing of our community, especially the children and the village women. This clinic will have to become self-funding after the first two years, so we are now looking for more ways to start up income-generating activities; please let us know if you can come up with any ideas that you could help become a reality out there and make money to support the Clinic. So far we are writing proposals for a village bakery, a coffee shop for passing motorists, and the building of a row of market stalls to rent out to local farmers to sell their produce. I would like to invite all past volunteers at Uganda Lodge to meet up again at my home in Shepperton (TW17 0JR) for a Uganda reunion, with a party atmosphere. There will be a big marquee with kitchen facilities and use of large BBQ, plus music and games (for kids of all ages). Please bring your own food and drinks. If you bring a sleeping bag and perhaps a tent, then you can sleep over and join in on our family’s annual camping weekend. I’m asking for a £10 donation per person that will go towards the school admin block in Ruhanga and I will set up a special event fund-raising page. Email me for more information if you’re interested in joining us. I am back in the UK from now until at least after this event, so am available for questions you may have and discussion on any help you may be able to offer.